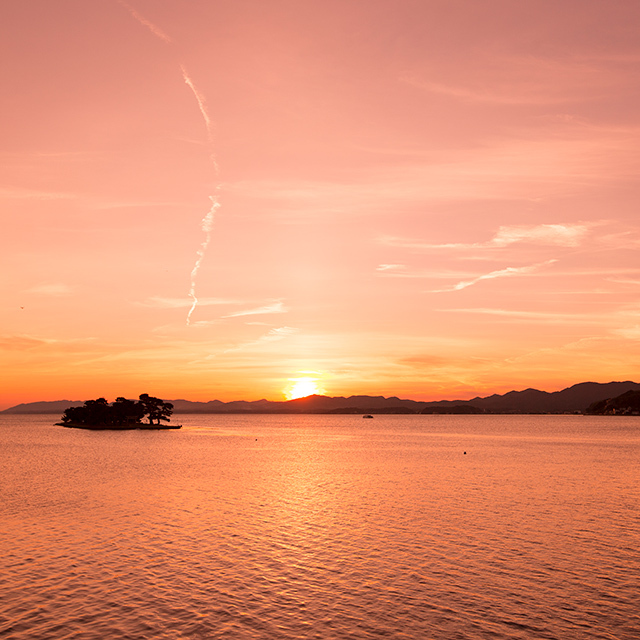 Around Lake Shinji are the Shimane Art Museum and other sunset viewing spots, so check them out before sunset to find the right place for you. 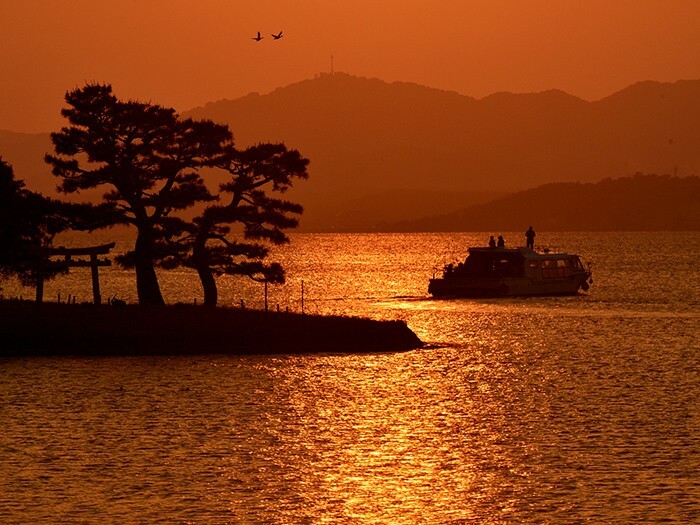 A sunset cruise is another possibility aboard the HAKUCHOU, another way to experience the moment altogether. 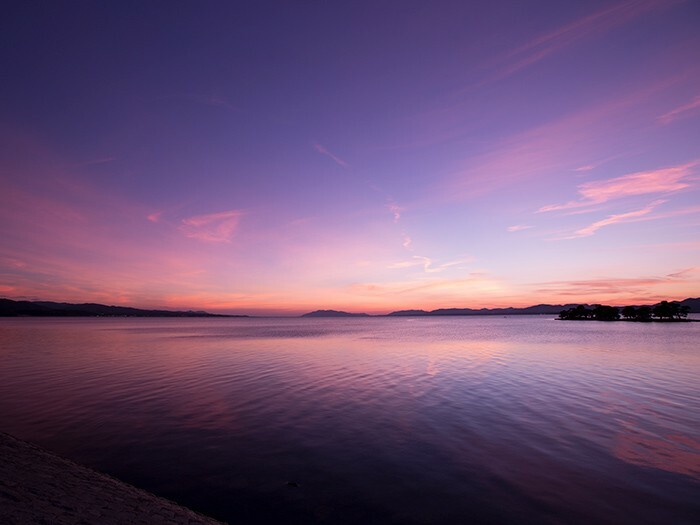 6-7 cruises per day starting at 9:30am. 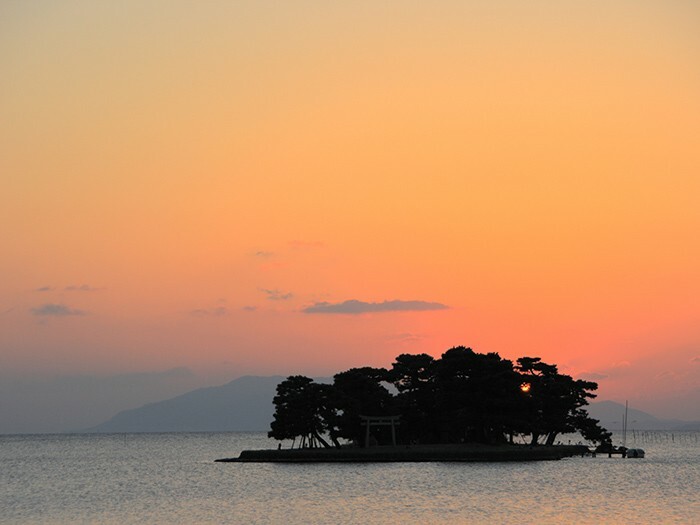 Kagawa Prefecture is known as the gateway to Shikoku. 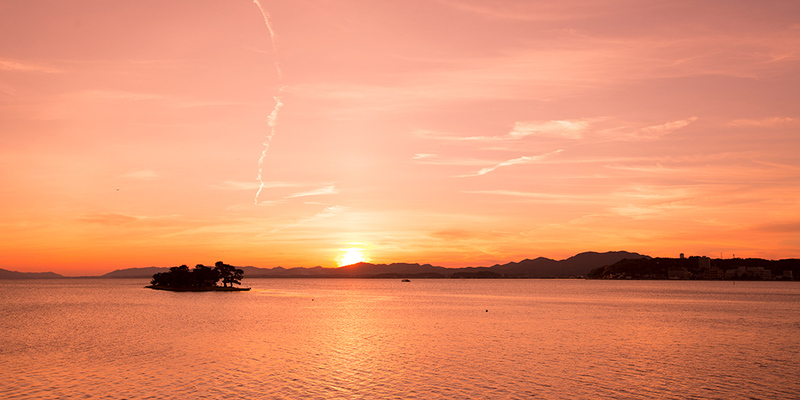 Its capital is Takamatsu City, home to a wide range of interesting sightseeing spots. 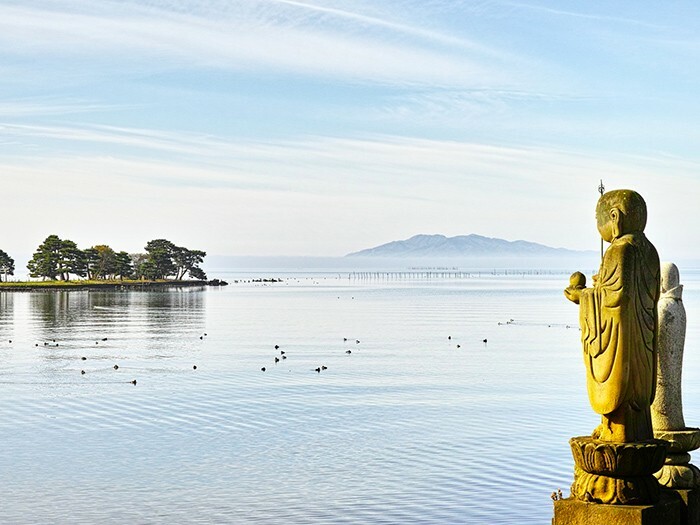 With famous local dishes such as Sanuki udon and Kagawa-style chicken drumstick, and a wide range of lovingly-made traditional handcrafts that make excellent souvenirs, the city is well worth visiting.